John C. Taylor, Ph.D., is associate professor of marketing and logistics at Grand Valley State University and a senior policy analyst with the Mackinac Center for Public Policy in Midland, Mich. He earned his Ph.D. from Michigan State University in 1991. His previous professional experience includes Wayne State University, Clark Equipment International and Dialog Systems Inc. Both his teaching and research interests have focused on transportation, logistics management and marketing. 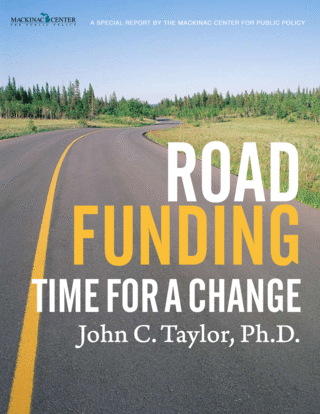 Dr. Taylor has authored important policy studies on transportation infrastructure, intramodal transportation, United States-Canada border transportation issues, international trade and investment programs, and intrastate trucking regulation. He is the author of a previous Mackinac Center study, “Fixing the Roads: A Blueprint for Michigan Transportation Infrastructure Policy.” He has testified often before congressional and state legislative committees and has worked closely with federal agencies on a variety of trade and transportation matters.